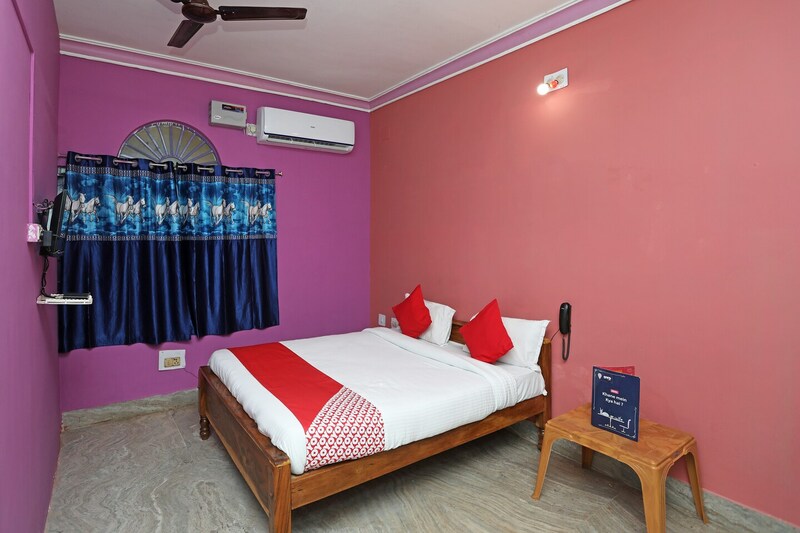 Hotel Kalinga is a simple and stylish place located on CT Road in Puri. The hotel comes with rooms that have a very subtle and sophisticated decor. The lightly painted walls give a minimalist look to the well-furnished rooms. The place has got major happy and comfortable vibes. The seating area is well-decorated with wooden finishing and furnishing where you can relax and unwind. CCTV cameras are installed across the hotel for the security and safety of your stay. Guests can enjoy various facilities provided here including free Wi-Fi service, elevator and parking facility. Added to all this, the stayers will find them unwinding within miles of the Puri Beach, and Jagannath Temple, both of which can be reached just after a few minutes drive.